The 17th Annual Taste of Tennis, the World’s Premier Food and Tennis Experience, will take place at the W Hotel, August 25, 2016 from 7pm-10pm. 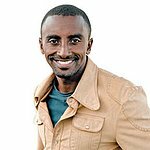 This year’s marquee Taste of Tennis culinary demo will feature James Beard Award winning Chef Marcus Samuelsson and 14X Grand Slam champion Rafael Nadal brought to you by Olive Oils from Spain, the world’s leading olive oil producer and exporter. 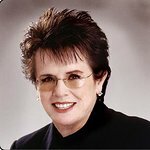 The Pre-Event reception will feature Legend Billie Jean King. In addition to amazing food, this one-of-a-kind experience features a variety of themed lounges, signature cocktails and music by popular deejays — a perfect way to kick off two weeks of tennis excitement in NYC! A portion of the proceeds benefits Wellness In The Schools. Wellness in the Schools (WITS) is a national non-profit that inspires healthy eating and fitness for kids in public schools. Through meaningful public-private partnerships, WITS is fighting the childhood obesity epidemic. The organization empowers schools to provide healthy, scratch-cooked meals, active recess periods, and fitness and nutrition education. WITS’ partnership approach drives systematic, long-term change, shifting the entire culture of schools.